For Kathy Mills Chang, her entry into the chiropractic profession in 1983 was both a personal and professional milestone. Not only had she found her professional calling and passion, but she learned firsthand how chiropractic care impacts patients. Suffering from life-long, severe asthma, she became a patient the same day she became an insurance CA. It wasn’t long before her health was transformed and her career began. From this experience, Kathy formulated her mission and higher purpose to make sure that chiropractic is central in the healthcare arena, with its doctors earning the respect and financial rewards that are so richly deserved. Between 1983 and 1999, Kathy built and managed multiple, high-volume chiropractic and multidisciplinary practices throughout the country, and was responsible for all daily and financial operations management. 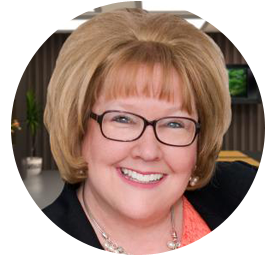 From billing and collections to patient financial management, Kathy used these years to formulate the systems she teaches and form the basis of Kathy Mills Chang Inc. products and services. Between 1994 and 1999, she served as Director of Income and Practice Administrator to the largest chiropractic group practice in New York, and successfully oversaw their conversion to multiple, profitable, multidisciplinary practices. In 1993, Kathy was asked by Dr. Arlen Fuhr, founder of Activator Methods, to develop and teach his nationwide chiropractic assistant training course. Using this time to create her training methods and to hone her presenting skills, Kathy learned that by taking her systems directly to doctors, she could affect the profession in a profound way. Now groups of doctors could learn at one time. After relocating to Washington, DC, Kathy had the privilege of serving the entire profession on the national level at the American Chiropractic Association. She served as the ACA’s primary staff contact for coding, insurance, Medicare, and other practice management issues. This experience allowed Kathy to learn about coding, Medicare, documentation, and other compliance issues from the leaders who formulate the policy. Another move brought Kathy to Denver, CO, and an opportunity that changed the course of her career. From 2001-2006, she served as a Senior Coach with Breakthrough Coaching and worked directly with more than 100 practices around the country, training them with ethical and unique practice-building techniques. During this six-year period, Kathy spoke to and trained literally thousands of doctors and team members. Since 2007, Kathy’s focus has been on Kathy Mills Chang, Inc and its training and implementation arm, KMC University. Leading a team of professionals to deliver cutting edge training and curriculum, Kathy is motivated to ensure that doctors make and keep more money. Through the KMC University online curriculum, training modules, seminars, and materials, the proven and effective Kathy Mills Chang reimbursement techniques reside in hundreds of practices around the country. This is the culmination of a vision that was created way back in 1983: to bring her own personal brand of expertise to the profession. An international lecturer, author, columnist, and trainer, Kathy serves as consultant and advisor to industry giants like Foot Levelers, BioFreeze, TheraBand, Future Health Software, and ChiroHealthUSA. Likewise, she and her team advise and consult a myriad of state chiropractic associations, providing insurance support, coding training, and other important reimbursement advice. In addition to her many years of chiropractic experience, she is a Certified Medical Compliance Specialist (MCS-P) and one of a handful of Certified Chiropractic Professional Coders (CCPCs) in the country. When she’s not on an airplane bound for an anxiously waiting group of doctors to train, Kathy can be found in beautiful Highlands Ranch, CO with her husband Michael, her son Jared, and their sweet basset hounds Homer and Daisy Mae.